Late 2014 a minor crisis emerged in the music industry, with major record labels at one stage looking like they were going to kill off freemium. The outcome of the Freemium Wars was actually less dramatic, resulting instead in an effective continuation of the status quo. The labels had however made it very clear to Spotify who held the whip hand. Though their tones have softened, major label execs retain an at best sceptical view of free streaming. 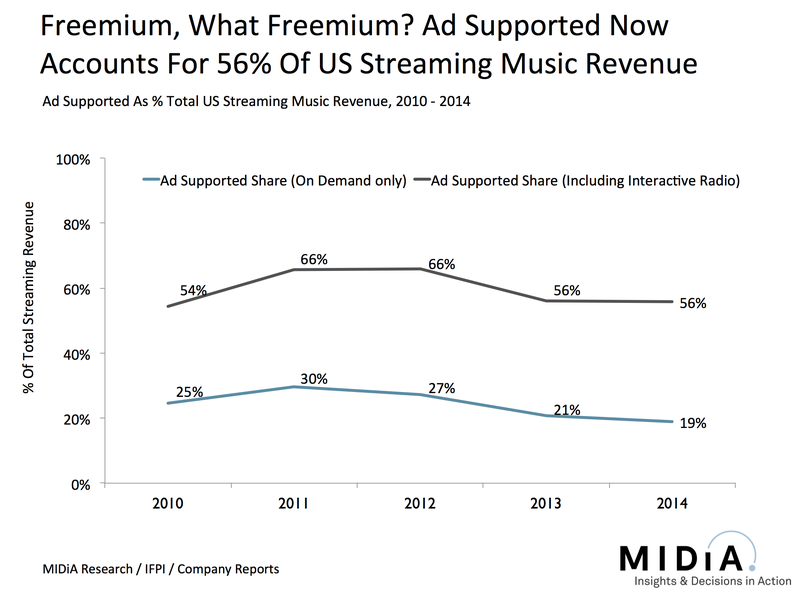 The net result is that freemium has almost become the inconvenient streaming truth that no one really talks about. However free is too big to ignore. In fact free is much bigger than some would like to admit. Semi-interactive radio revenues grew by 40% in 2014 compared to 35% for subscriptions. 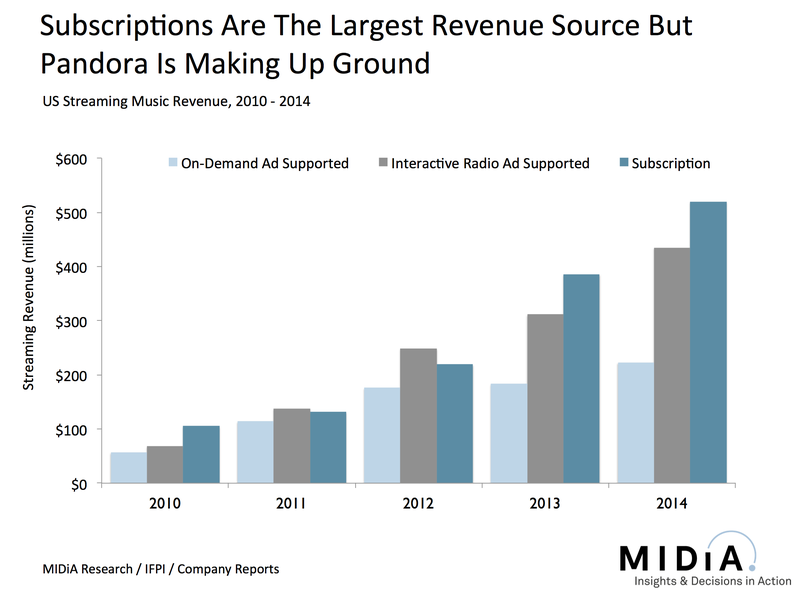 Subscriptions had grown much faster in 2013 (76% compared to 25%) but Pandora and co found their mojo again in 2014. None of this is to suggest that subscriptions aren’t making great progress but it does show us that free is more than an inconvenient truth, it is both the most widely adopted behaviour and the largest revenue source in the US (which accounts for 48% of global digital revenues). Soundcloud took another step away from being an ‘under licensed’ service to a ‘fully licensed’ one with its deal today with indie licensing body Merlin. This follows on the footsteps of deals with Warner and the National Music Publishers Association. Soundcloud is a long way yet from being out of the licensing woods but momentum is clearly building. Most importantly though, Soundcloud is inadvertently playing the role of ice breaker in the new wave of deals for sites that traded as promotional sites in the download era and are having to, willingly or not, accept a new role that looks and feels a lot more like a straight forward streaming service. Soundcloud always had a lot of goodwill within the indie community and indeed even within the marketing and A&R departments of majors because of its roots as a platform for helping labels, artists (and more recently) fans interact more effectively. The labels’ commercial affairs teams however have been far less enamoured, instead asking why Soundcloud should be able let people listen for free, on demand, without licenses when others can’t. 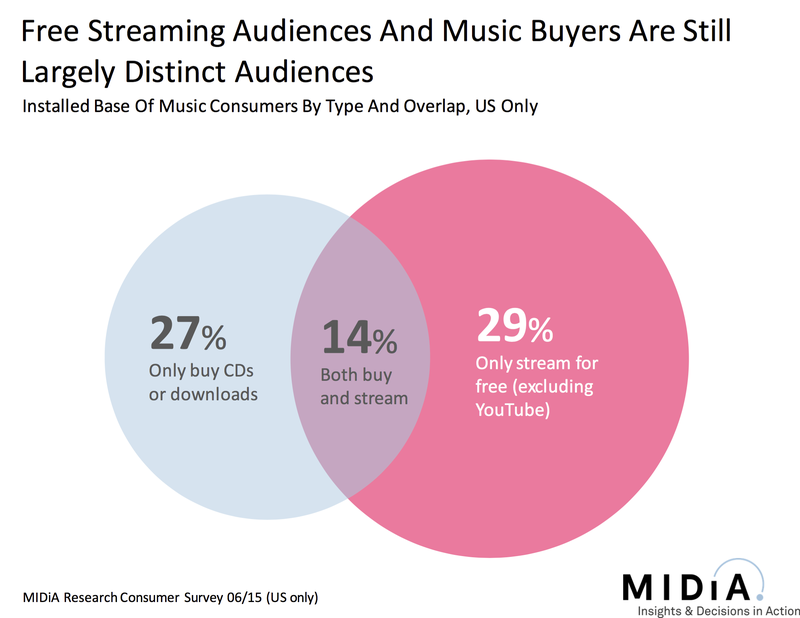 The role of standalone promotional streaming services made sense when everyone was still buying music, but with download sales and CD sales both on the slide globally the model is less obvious. The discovery journey has also become the consumption journey but the change is happening so fast that it is easy to confuse the two. This is why we have the paradoxical situation where 10 million streams on Spotify is considered to be x amount of lost sales while 10 million YouTube views is considered a marketing success. Right now a large chunk of digital marketing activity that is driving streams on YouTube and Soundcloud is tactic without purpose. It is marketing for marketing’s sake without a clear enough sense of what the end goal is. This is why Soundcloud needs to get these deals in place. It will completely transform the commercial dynamics of Soundcloud, and there will undoubtedly be disgruntled artists and fans, but the music world has changed and it needed to also. All of which leaves YouTube the odd one out without a chair to sit on when the music stops. An honourable mention goes to Songkick who today announced a merger with Crowdsurge and a combined raise of $16m. Congrats to Songkick and Crowdsurge co-CEO Ian Hogarth who is one of the smartest minds in the music industry.